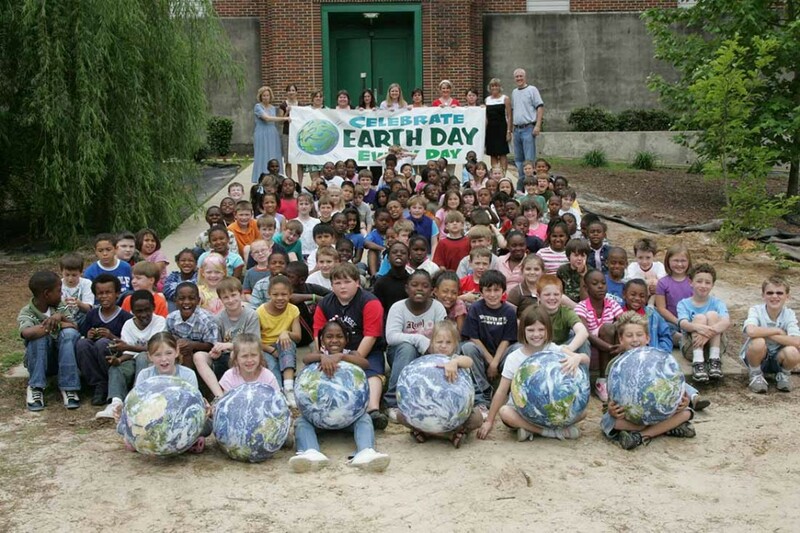 EarthBalls for parents and grandparents…and children. 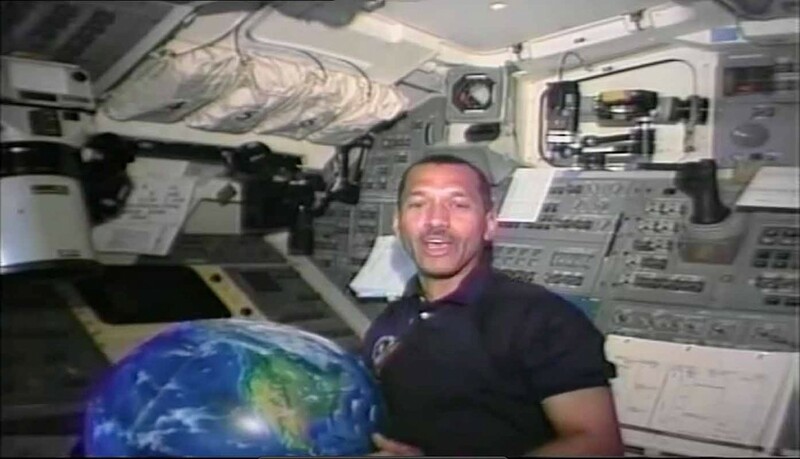 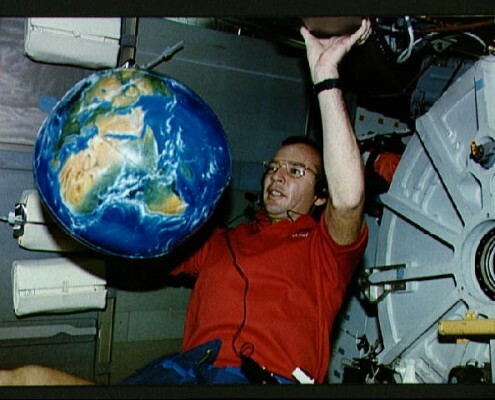 A child sits in his or her room, gazing up at the beautiful Earth suspended in space with cities aglow, pondering our planet and their place in it. 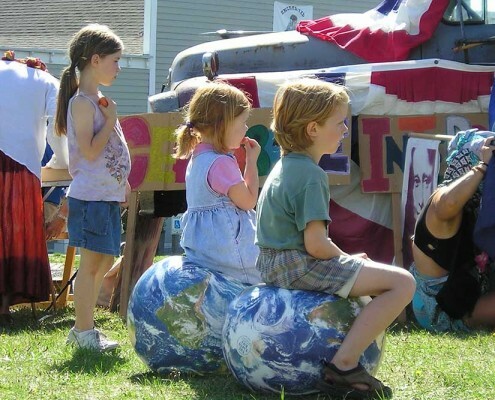 Give your child or grandchild the gift of global perspective…and the gift of fun, with a 16 inch or 1 meter diameter EarthBall. 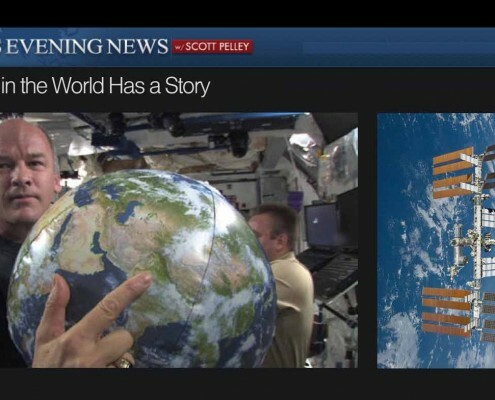 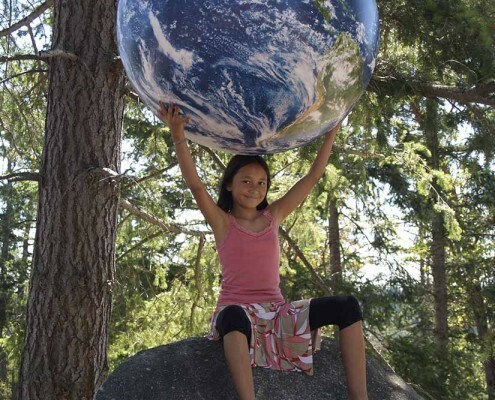 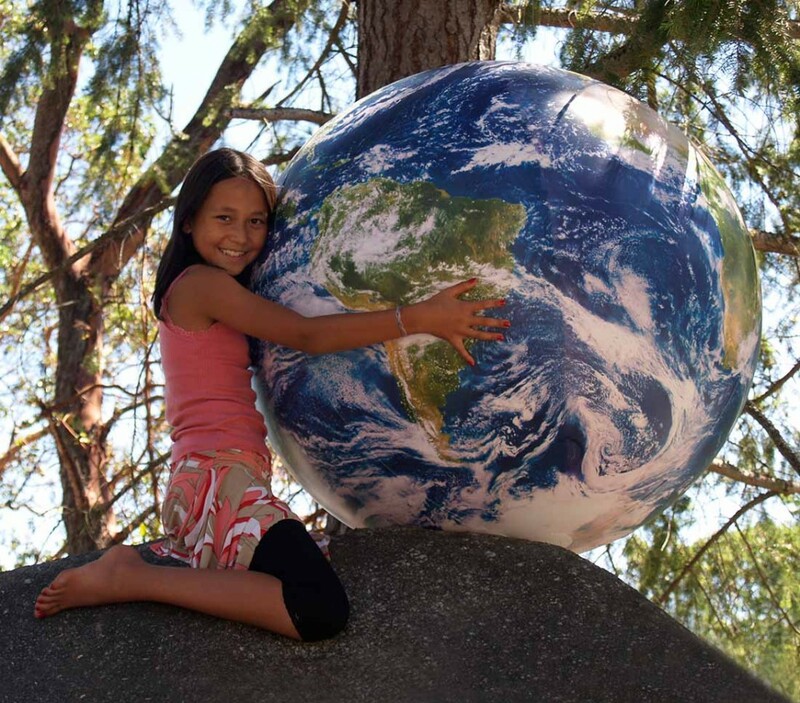 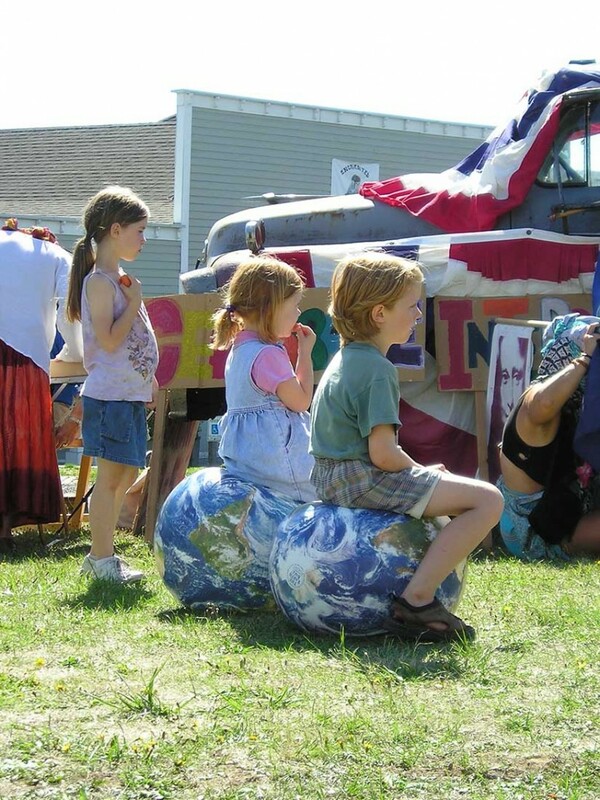 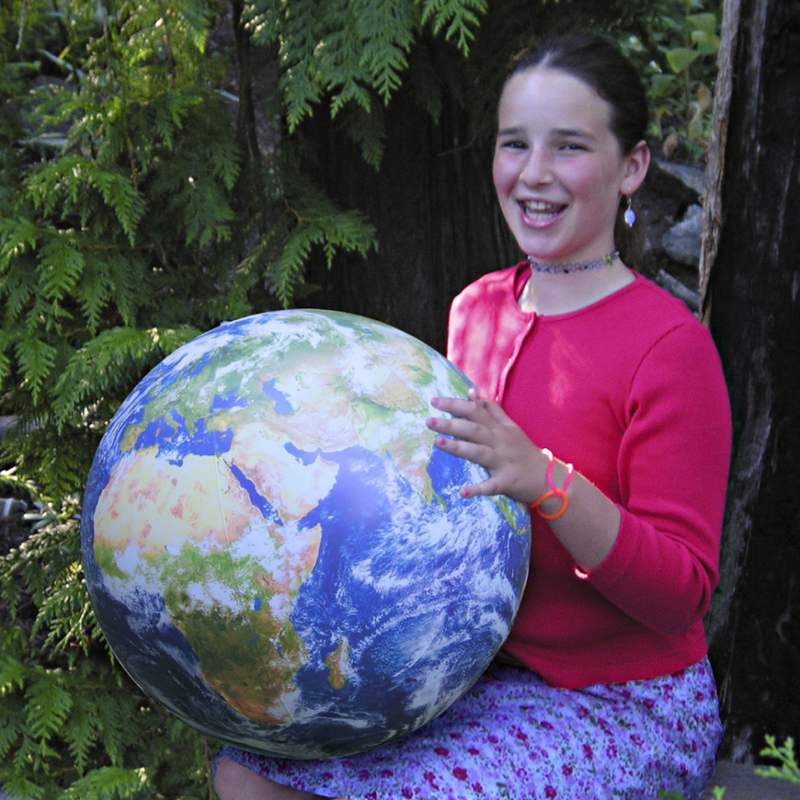 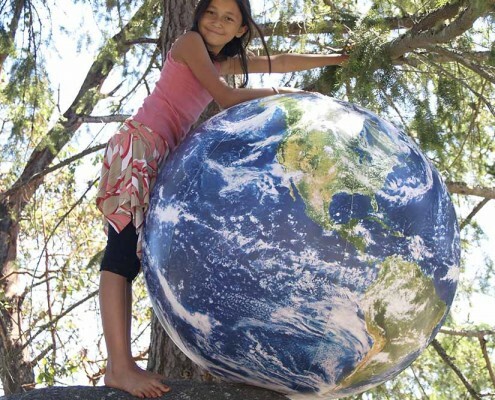 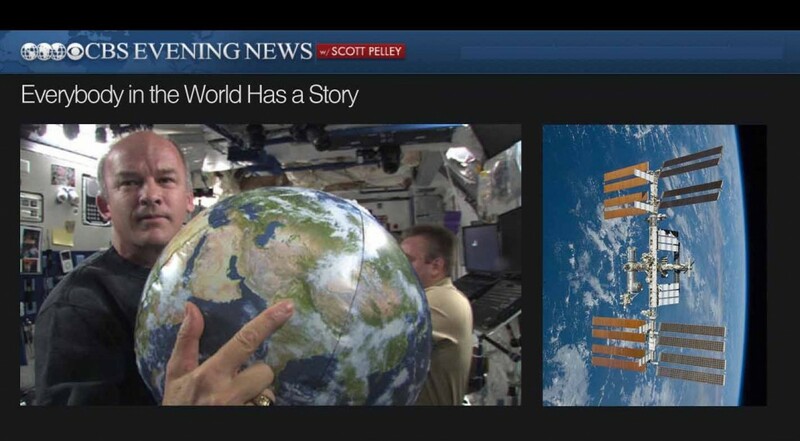 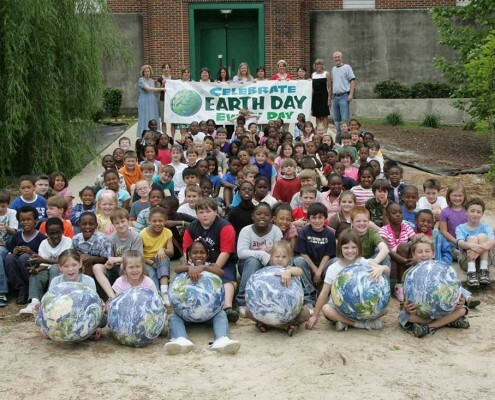 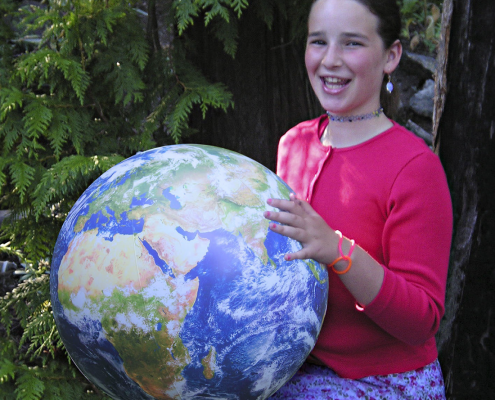 EarthBalls have inspired and taught children of all ages and in many countries. 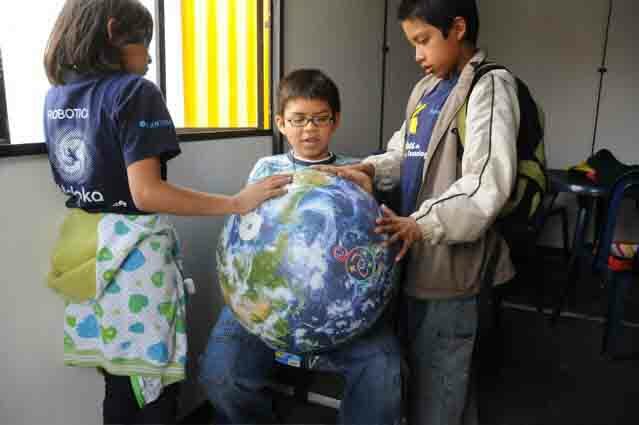 Each and every inflatable EarthBall comes with the 20-page Global Handbook, chock full of games, activities and resources for Earth adventurers of all ages. 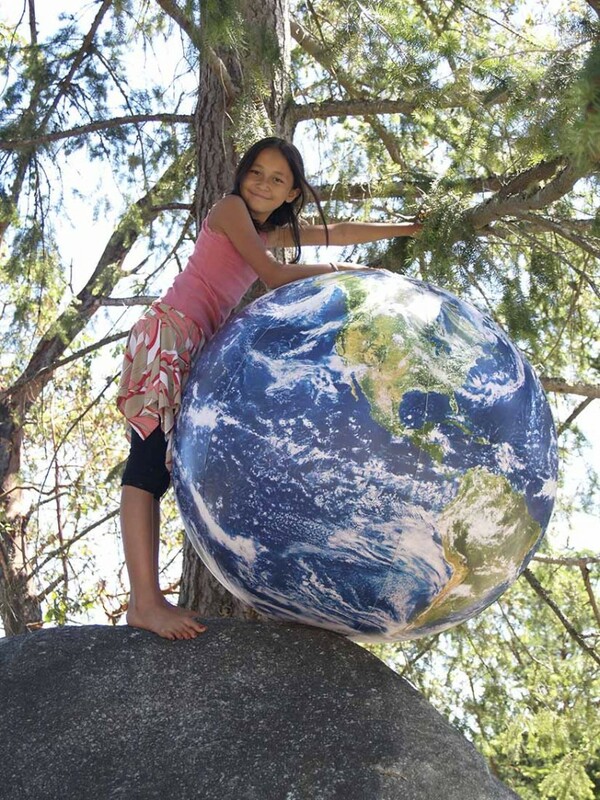 Each EarthBall also features Nightglow Cities, which glow under ultraviolet ‘black’ light. These beautiful globes inflate easily and can be suspended from their built-in loop at the North Pole. 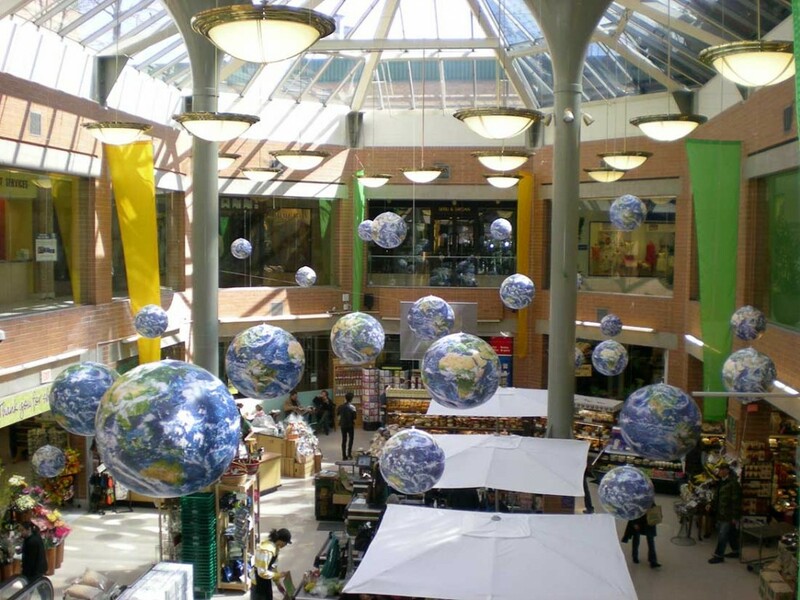 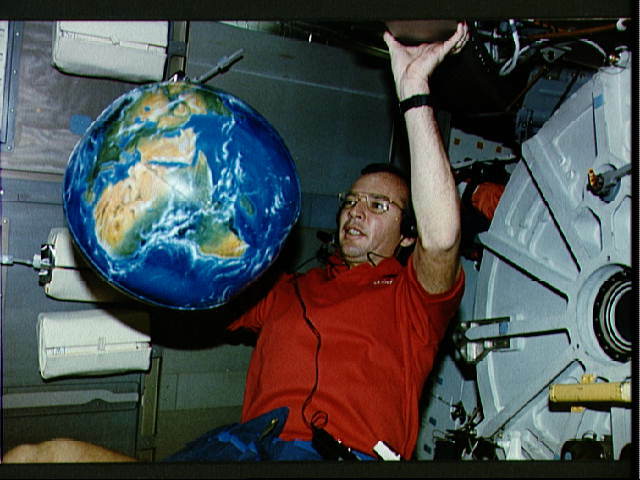 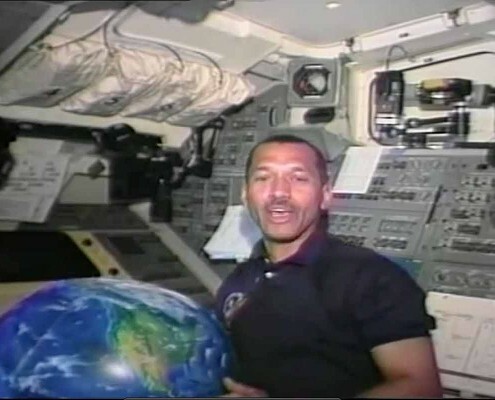 EarthBalls can be ordered here and can be shipped nearly anywhere in the world. 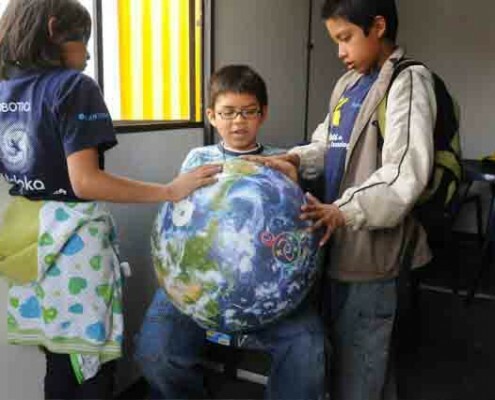 Let us know if it is a gift and we’ll leave the invoice out of the package. 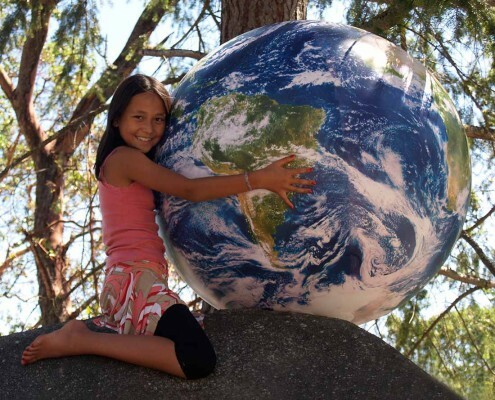 Your children and grandchildren mean everything to you.. Why not give them the world? 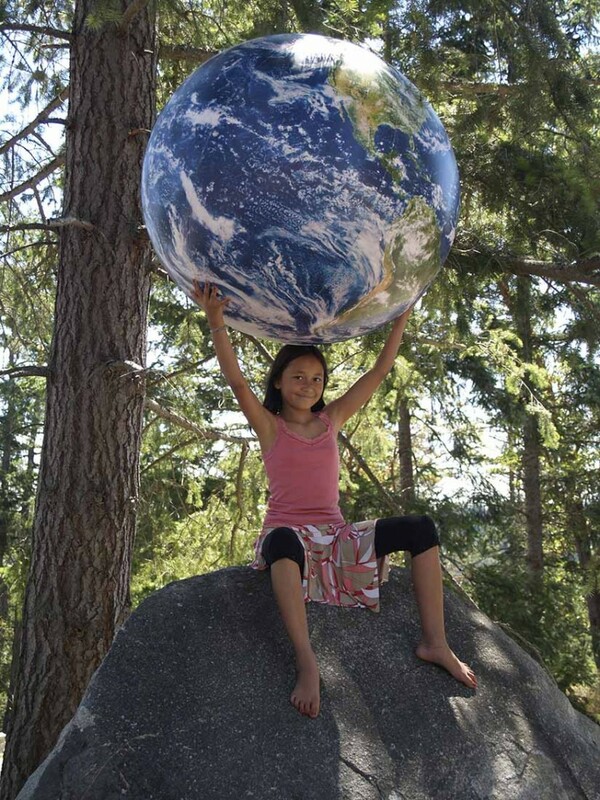 Click here to learn about how Small EarthBalls comply with all product safety regulations.